All of the experts have weighed in on what marketing trends will drive the industry in 2016. We’ve gone through the lists and picked the top trends that keep showing up again and again. Do you agree that these will make an impact in 2016? Janice Rodriguez is the President and Agency Director of Adelante Live Inc. and is excited to see if these 2016 trends really stick! Please follow her on Twitter @jvrodrig1029 or on Google+. You can view her full bio here. Bay Business Journal’s (TBBJ) list of top companies in the Tampa Bay area in two categories. 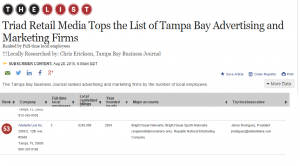 The List of Tampa Bay Advertising and Marketing Firms is ranked by number of employees in relation to local capitalized billings. Adelante Live was ranked 53 in this category. TBBJ also has a list of Top Tampa Bay Women Owned Businesses ranked by revenue. We’re happy to be 85th on this list alongside many prestigious women-owned Tampa Bay companies. We’re really proud that our boutique agency has been recognized by TBBJ in both categories and look forward to further increasing our presence in the Tampa Bay market. Janice Rodriguez is the President and Agency Director of Adelante Live Inc. and is happy to be celebrating her 10th year in business and first time appearance on the TBBJ lists. Please follow her on Twitter @jvrodrig1029 or on Google+. You can view her full bio here. It’s hard to believe that 10 years ago I started Adelante Live. At the time, I had left the modeling industry where I had been working for several years as a commercial print agent and I was working as a field manager and product specialist. I began providing staff for various events and promotions and decided to turn it into a full service business. Ten years later, we’re still growing and excited to see what the future brings. I’ve seen a lot of changes in the past ten years in the experiential marketing industry. But even today, the same basic concept holds true- a consumer’s experience with the brand influences their feelings about the brand and therefore their likelihood of purchase. For us, the most important and influential part of that experience is the brand ambassador. A brand ambassador who educates the consumer on the product and creates excitement for the brand and promotion makes the real difference in that consumer interaction. Brands rely on brand ambassadors to introduce their products and services to consumers in the retail environment, at festivals, in restaurants, in grocery stores, and now even in their own homes. Something as simple as being handed a free sample or coupon by a smiling, happy brand ambassador has turned potential customers into lifelong brand advocates. The face to face interaction between the brand and consumer is still the core of what we do. So what has changed over the past 10 years? Use of Technology: I remember when we filled out lead cards and surveys on paper! From handheld devices and tablets, to interactive games to virtual-reality activations at events, technology has been the big game changer for this industry. Experiential marketers embrace it, promote it and are constantly trying to find cool ways interact with their consumers, which means embracing the latest technological trends. Growth of Smartphones: Cell phones and cell phone plans have come such a long way since 2005. I distinctly remember talent couldn’t receive text messages because of the price per text or some people who still didn’t have a cell phone. Today 90% of adults have a cell phone and 58% of adults have a smartphone. These smartphones have the best cameras, email capabilities, calendars, and apps so that talent in the field can stay organized and consumers can interact with brands directly from their phone. In order to stay current, mobile version of our web platform so that talent can easily submit their availability, confirm or look for their event details quickly at a glance. Making sure that everything is smartphone compatible and optimized has been a huge change in our industry. Explosion of Social Media: Back in 2005 the hot social media platform was MySpace. But brands and businesses weren’t really using it to connect with their consumers. Today MySpace has totally changed directions into the entertainment arena and the big players are Instagram, Facebook and Twitter. You can also add Pinterest, Tumbler and LinkedIn to this list and you can see the need for brands to connect with their consumers across all of these social media platforms. Experiential marketing has become one of the tools for expanding brand social networks. So many activations today have a specialized hashtag or interaction that allows consumers to post a photo directly to their social media page and like the brand on Facebook. Brand ambassadors are so social media savvy that brands are requesting more often to use the ambassadors’ networks to continue the promotion before during and after the event execution. As a company we use social media today to keep in touch with our clients and talent, to recruit in new markets and also to continue to promote and support our clients’ events and promotions. Online Presence: Where would we be today is a business without our web platform the A-live Apex? We invested heavily in the early years in a proprietary online platform that could bring together our talent, clients and our internal scheduling capabilities to one place in order to provide the best service to both our talent and our clients. We’ve built on the system over the past 10 years to continue to stay current with our clients’ needs such as adding reporting capabilities as well as an online order form. In today’s fast-paced world, it is necessary to be able to communicate with everyone in the most quick and efficient manner as possible. Our online platform has allowed us to do that as well as has allowed us to grow significantly. I consider it to be one of the most important pieces of our company and we’re proud of what we can offer because of the A-live Apex platform. Online marketing today has significantly expanded and experiential marketing is tied into that in many ways. Typically at promotions or events, there is an online component or a call to action that drives consumers back to a specific promotional website address or contest that happens online. Experiential marketing ties together the online marketing tactics for the brand with the real world experience that events and promotions provide. 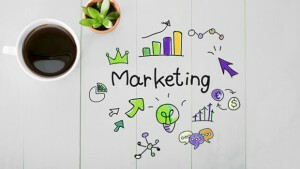 It’s really exciting to see where online marketing is going and the creative ways markers will continue to try to connect these two worlds through experiential. I could not have done this without the help of multiple people throughout the years. From the introductions that have been made on my behalf which led to clients to talent saying a good word about what we do and helping to promote and represent our company in the best light, we are so thankful. To our team of advisers and vendors that helped us build and expand our business over the years, all of them helped make us what we are today. And for that, I am forever grateful. To my employees over the years and today, especially to Jon Drago and Kristen Brown, I can’t thank them enough for their hard work and support. Kristen has been with us for six years and Jon for three years and that long-term dedication really makes a difference in a small business. We set goals, we made plans to achieve them and we were successful. They offer the best client service and are always looking out for the interests of the business while being creative and offering ways to improve so we continue to stay competitive. We’ve been lucky to have so many long-term clients we’ve worked with since 2005. I believe that’s a testament to the quality of service we provide. I believe in long-term relationships that grow and evolve and I’m happy that we’ve been able to see our clients businesses also grow. We’ve worked on multiple EX award winning programs and other programs you may not have heard about but made a big impact in their communities. We’re proud to have played a part in so many successful marketing programs. I need to thank the talent that we have worked with over the past 10 years. We are excited that this industry has grown so much and has been able to provide opportunities for these dynamic and personable people to represent the world’s greatest brands. Promotions and events need outgoing people with excellent communication skills to go out into the field to meet consumers and be the face of the brands they represent. What our talent does is special and important to us, our clients and the brands. Thank you again. The most important thing I’ve learned in the past 10 years is that you can’t do it alone. You need a strong support team around you to be a successful small business owner. I have had the guidance and support of so many people over the years and I couldn’t be more grateful for their time and attention. Their advice helped me grow both the business and as a person. I’d also like to thank my friends and family who sometimes went to the back burner while I dealt with the business or a huge project. They always understood as they saw my vision for this company. I appreciate their love and support through the years and respect them so much for their encouragement and understanding. Janice Rodriguez is the President and Agency Director of Adelante Live. Please follow her on Twitter @jvrodrig1029 or on Google+. You can view her full bio here. As Hispanic Heritage Month comes to an end on October 15th, it’s a great time to explore this very dynamic consumer market. Hispanics are becoming more and more visible in the eyes of companies—with a presence of more than 54 million in the U.S. and buying power of $1.2 trillion. As brands continue to develop marketing programs to appeal to this market, it’s important that they keep a few things in mind. According to Experian Marketing Services, three-quarters of Hispanic adults prefer to speak at least some Spanish. However when we look at Hispanics by generation, those born outside the U.S. favor speaking Spanish by a wide margin compared to second-generation Hispanics who prefer to speak either all or mostly in English. This may be the reason why we’re seeing major brands such as Tecate and Dr. Pepper use Spanglish, a mix of English and Spanish, in their ads to appeal to both generations of the Hispanic consumer. Although some look down upon this marketing trend as a ‘dumbing down’ of the Spanish language, if done correctly it can really impact a wider range of the Hispanic consumer market. There are 27 Spanish-speaking countries with their own dialects, slang, cultures, customs and food. However many brands want to treat Hispanics as one homogeneous group. 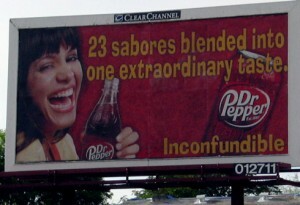 Latino bloggers and tweeters have a name for the phenomenon: “Hispandering.” Coca-Cola recently posted a Hispanic heritage tweet suggesting the best way to celebrate is by eating guacamole, a condiment that originated in Mexico and is not typical of all Spanish-speaking societies. Although it may seem more cost effective to reach a larger market it may be better to consider targeting Hispanic consumer groups based on their country of origin. The same wording in a print ad may mean something different to Dominicans than to Guatemalans. Most importantly – whatever you do- hire an experienced translator who has experience creating content for different groups of Spanish language speakers. You don’t want to be the subject of ridicule like the time the Republican National Committee put out a badly translated statement in Spanish about its Hispanic Heritage Month-themed video. It takes a commitment to reach the Hispanic community, not just the four weeks of Hispanic heritage month. Hispanics are brand loyal and intend to engage heavily with the brands that they use and purchase for their family. So if this is your first foray into Hispanic marketing, please do not just stop on October 15th. Make a commitment to reach Hispanics in a real way where they work and play. Janice Rodriguez is the President and Agency Director of Adelante Live. Please follow her on Twitter @jvrodrig1029 or on Google+. You can view her full bio here. She’s also proud to speak Spanglish! Allow Adelante Live, Inc. to source, coordinate, and manage all of your event planning needs – from lights and sound to catering to entertainment! Have you just signed on for a sponsorship for an event or festival and don’t know where to start? Adelante Live, Inc. is more than just an event talent agency- we are a full service event planning and production team. We’ll handle all of your event needs. More importantly, we’ll make sure that your brand is the focus of the event and that a cohesive message is delivered. Below is a sampling of event planning services that ALI can provide, thus taking the burden, worry, and stress off of you. Entertainment: DJ, face painters, caricaturist, balloon artist, costume characters, etc. Furniture rentals: Tables, chairs, tents. Also, dinnerware and barware. Event Talent: Event Manager, Day-of Coordinators, Registration Staff, Brand Ambassadors, Street Teams for event pre-promotion, Bartenders, Shot girls, Wait Staff, etc. We’ll even help plan themes for corporate meetings, grand openings, annual conferences, and tradeshows. Choose us for an entire event planning package, or pick your services a la carte. Whichever you choose, you’ll know that you have the most dedicated team on your side finding you the best quality at an affordable rate. Call ALI today at 1-800-320-9160 for more information. Visit www.adelantelive.com to see our other services and features! Look for the value in an agency partner – and not just its pricing! We have a tendency in life to always look for bargains. Bargains when we’re grocery shopping, bargains when buying a car, bargains for local restaurants, and so forth. And, often times, bargain hunting is a good idea. However in business, it’s knowing when to put value over a bargain that makes you a smart decision maker. The value that a promotional staffing agency brings to your marketing campaign is not only the direct delivery of your brand message to your consumers, but also their experience and skills in booking, managing, and executing such a campaign. There are two main points of value to keep in mind when thinking about working with a partner agency for your experiential campaign: Messaging and Management. Live event marketing is a very dynamic way of getting your brand, product, or service directly into the hands of your target demographic. It leaves your consumers with a “feel good” emotion – a message that is felt rather than just heard or read. It allows you to directly target those consumers that are most likely to make a purchase. Through the use of product demonstrations, in–store samplings, street teams delivering coupons, flyers, and premiums, or even a friendly and energetic face at a trade show booth, you’re using a form of marketing whose reach far surpasses that of traditional print or broadcast media. The right agency partner recognizes how important this messaging opportunity is and will utilize their suite of tools to optimize the value of each program. A good agency will bring you substantial value when it comes to the management of your event. They will plan, staff, and manage the execution of the event, as well as provide post-event reporting and analysis. This underestimated value frees up time and effort on your end. Hours upon hours go into staffing a live event – and that’s something that your in-house staff just doesn’t have time for on a daily basis. Hiring an agency to manage all of your staffing needs also gives you the benefit of their expertise with this type of marketing. The use of promotional live event marketing is new to some in-house marketing departments and brands. Get the most value from day one by working with a professional agency who can put their years of promo experience to work for you. So now that you see the value that a promotional staffing agency can bring to your marketing efforts, why would you want to cheat yourself by choosing a bargain over a value? The lowest price may not always be the best option. Why? Because lower prices in this industry may signify a number of things. Your agency may not be paying talent fairly. And if that’s the case, you are taking a HUGE risk that the talent may not be the best fit for your event, or, even worse, are inexperienced and not trained properly by the agency. We sincerely believe that you get what you pay for when it comes to placing promotional talent. A significantly lower price quote from an agency may also mean that they do not have the technology that clients find useful and necessary such as social media planning, online reporting systems, photo upload capabilities, and talent selection tools. If this is the case, working with your agency can be very time consuming and a difficult process – which it shouldn’t be! Trust me – the lower price won’t be worth the hassle. Keep in mind that if an agency’s rate is a bit outside your budget, there is significant value in their additional services beyond just staffing. You are getting years of experience, an extensive talent database selection, online booking and reporting tools, social media programming, talent trainers, and account managers that are on-call 24/7. Also, remember after all of the planning of your event or promotion, the people who are representing your brand play a critical consumer facing role. Do you really want to book the talent who are on “sale”, or would you rather book those who will do the best job and are the best fit? So while everyone likes a discount, you may want to consider the value of what you’re getting before taking the bargain basement price! There’s a lot happening in the world of experiential marketing . As more companies expand their marketing plans to include live events as a viable form of creating brand awareness, our industry continues to grow and change to meet their needs. Thanks to an agency survey report released by the Event Marketing Institute (EMI) in partnership with Mosaic Experiential Marketing, we have compiled what we feel is some of the most vital information about our industry and its future. Agency revenue growth rates are expected to grow 15.2% in 2013, compared to a reported 12.4% growth for 2012. The top three client experiential marketing goals are to increase sales, increase brand awareness, and launch new products. Also gaining more importance to clients this year is lead generation, up 13% from last year. The features that most enhance a consumer’s in-store shopping experience are not surprising. Of the agencies surveyed, 100% ranked Outgoing and Engaging Staff as “very important” or “important” on a 5-point scale. The top three agency aspects most important to clients (from the agency perspective) are project management, strategic consulting, and measurement services. When selecting an agency, brands tend to look at costs, creativity, and the experience of an agency. 58% of agencies believe that if brands viewed events more strategically than tactically they could achieve more value from the relationship. In response to the use of digital media and technology at live events, many agencies responded that it is “becoming a requirement, opposed to a ‘nice to have’ element”, “can help track ROI”, and “mobile devices are the main engagement technology”. However, agencies also reported that getting consumers to share things on social media still posed quite a challenge. According to the survey, integrating technology into live events is considered a more promising strategy than celebrity or content-focused events. Use of smartphones by consumers during in-store events and experiences is on the rise. Primarily to take pictures, scan QR codes, receive instant savings, and compare pricing. Last year, 45% of agencies reported they used social media around events. Today, 62% of agencies are using social media to reach a larger audience, disseminate event information, and to gain new leads. When asked about reaching ROI goals, 52% of agencies reported that “the ROI level realized or anticipated is not applicable”. Meaning: Reaching a desirable number in terms of traditional ROI calculations is often difficult with experiential marketing – tracking is more of a measure vs. a traditional ROI number. Of the criteria used to measure ROI in this type of marketing, the top three metrics are total event attendance/participation/visits, the amount of leads brought in, and the time spent with the product or experience by customers. Other metrics include the number of social media postings, Facebook “likes”, and website hits. 62% of agencies responding to the survey say the lack of an event measurement industry standard process or model is a challenge for their organizations and their clients. This study supports that these trends, key learnings and challenges will continue to shape our industry as we move through 2013 and beyond. Source: EventTrack 2013. Event & Experiential Marketing Industry Forecast & Best Practices Study. Special Report by Event Marketing Institute and Mosaic Experiential Marketing. Why you should hire tradeshow talent at your next show or expo. We know from over 10 years experience that tradeshows require a significant investment of time and money and that professional tradeshow talent can help maximize that investment. For those companies who think that bringing just one extra person from the office to the show is the best use of their resources, we offer the following 6 reasons to consider hiring professional tradeshow talent. Tradeshow hostesses who have a uniform and branded look can be very eye-catching and bring additional traffic to your booth. Although we are moving away from the term “booth babe” we do know that an attractive, outgoing and well-spoken hostess can bring more attention to your booth and therefore more visitors. Wardrobe choices for the talent can also make a big impact and should be integrated with the overall branding and design of the exhibit. 2. Don’t Let a Lead Get Away! 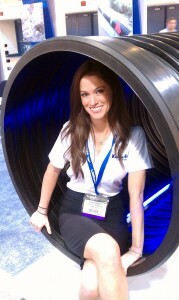 A tradeshow hostess will likely be the first person to interact with an attendee who enters your booth space. They can easily determine, based on their knowledge of your company and specific criteria you have developed regarding leads, what type of client or company representative you consider a “hot lead”. An experienced hostess can then turn over the leads to your sales staff or politely converse and collect information with those who may not be a top priority at that time. This is a valuable function that tradeshow hostesses provide that saves your sales people’s time and energy throughout a long tradeshow. Another reason you attend a tradeshow is to meet with existing clients, catch up with industry colleagues and hold sales presentations with prospects. Any of these activities may require an off-site meeting but you can’t leave your booth unmanned. Experienced tradeshow talent can manage the booth and traffic and make sure there is always a responsible party on site. They can continue to scan badges, collect business cards, and distribute collateral even if many of the sales staff have to leave for any reason. Have you considered adding a presentation or interactive product demonstration as part of your tradeshow interaction? Although your first thought may be to have your head salesperson make the presentation, please consider an experienced narrator who has acting and ear prompter experience. An experienced narrator’s ability to improvise and control the pace of the presentation is key to relating to the much larger audience present at tradeshows. Also, booth hostesses can also act as crowd gatherers and walk out into the show to invite attendees to the next presentation. This will bring a larger audience to the presentation and therefore a bigger crowd to your booth – and that’s what you want… traffic! Let’s face it, there are tradeshow attendees that just go around booth to booth to pick up free stuff. With all the pens and tote bags you can really score big at a tradeshow! Let experienced hostesses greet and mingle with those attendees while your sales team focuses on legitimate leads for your product or service. With just a little extra attention that a tradeshow hostess can provide, all visitors to your booth will feel welcomed and leave with a positive impression of your company . Why pay for airfare, hotel, and per diem for a member of your team to come to the show just because you could use an extra “pair of hands” on site? If you need assistance with greeting attendees, scanning badges, and filling brochure bins, it may be more economical to hire an experienced booth hostess to fulfill those duties. Locally-based talent can provide those services plus so much more at a reasonable day or hourly rate that will work within your budget. Hire an experienced tradeshow talent who will be energetic and 100% focused on the success of your show! Janice Rodriguez is the President and Agency Director of Adelante Live. Please follow her on Twitter @jvrodrig1029 or on Google+. You can view her full bio here. She’s worked over 100 tradeshows as a booth hostess, crowd gatherer, product specialist and narrator. 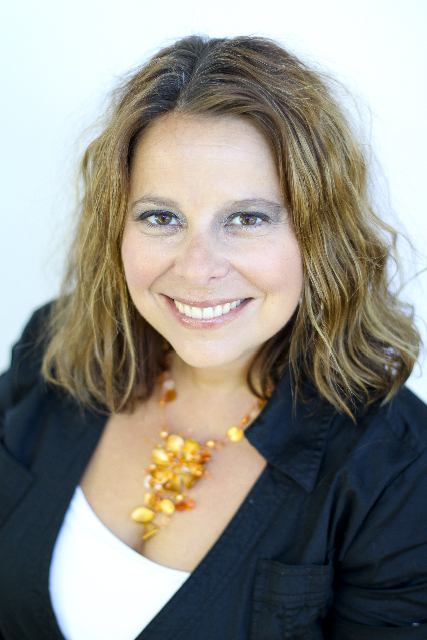 As a talent agent, she has booked hundreds of tradeshow talent for a variety of tradeshows, expos, and conferences. 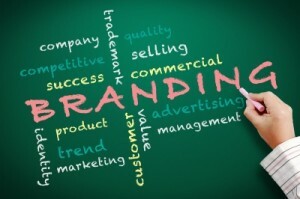 Make your brand message memorable! At an event, what you say is just as important as what you do. In order to leave a lasting impression on a consumer, often times what your Brand Ambassadors say is just as important as what they do during the event. That is why your content message needs some massaging before the event starts. Think about the following: What message do you want to relay? How do you want it relayed? By whom do you want it relayed? 1) Be pertinent. Make sure your message relates to the task on hand. If you are demonstrating or sampling a product, write a script for your Brand Ambassadors that includes 3-4 main speaking points about THAT product. The same goes when driving traffic to an event, or capturing leads. The BAs should be armed with the pertinent details of the activation and stay focused. 2) Be succinct. Do not give your Brand Ambassadors lengthy pages of dialogue! Provide short bullet points of information. Keep the messaging simple enough to remember, but powerful enough to make an impact. 3) Be engaging. Your message needs to have enough UMPH! behind it to leave a lasting impression. Be sure to highlight the points that you think will grab a consumer. If driving traffic to an event, mention any special offers during the event – like a giveaway, raffle, or special discount if you attend. When discussing products or services, pick the details that have the biggest draw! Remember: You want your message to be memorable. Keeping it short, impactful, and relevant will help consumers remember your brand. The delivery of your message can be tricky. What type of impression do you want to leave? Do you want your brand to be synonymous with “hip and fun”…or would you rather come across as “experienced and authoritative”? You know your product better than anyone else so be sure to set the tone properly with your staffing agency. 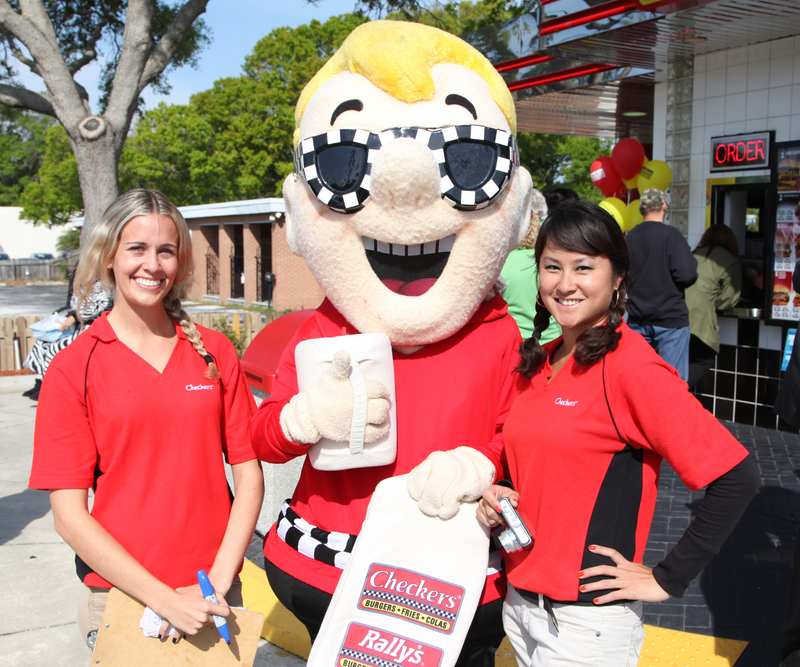 You’ll want them to book Brand Ambassadors that can carry the delivery of your message. Also, be sure to discuss the timing of your messaging. You may want your messaging delivered at a distinct point during your event. Or there may be a certain order in which you want your talking points delivered. Be sure to tell your staffing agency if you have specific requests. Three Top Speaking Points: Create a one-page document that lists the main speaking points that you want your Brand Ambassadors to relate to consumers during the event. FAQs – Give your BAs a series of questions that they may encounter, and then provide the written answer for them. Although you want your Brand Ambassadors to deliver a certain message while at the event, it doesn’t hurt to provide them with more information about your company. After all, they will most likely encounter a variety of questions from consumers, and a knowledgeable BA will leave a better and more lasting impression! 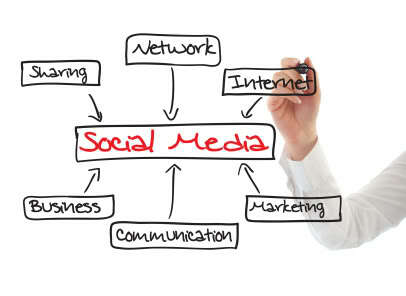 Your social marketing efforts aren’t a stand-alone effort! They also impact your traditional marketing, advertising, public relations, and customer service. Last week we explored how social media can support and enhance traditional marketing and advertising. Today we’ll look at how social media works with your PR campaign. Facebook and your corporate blog aren’t the best place to post every last press release, but some savvy Twitter use can get you connections with key journalists. Use the platform to connect with these individuals–and give them information that’s really useful to them. PR isn’t just about press releases! It’s about telling the story of your company and–more importantly–the people who make your business a success. As you put together your editorial calendar, weave in blogs about “everyday heroes” who make your business stand out. Perhaps it’s a regular customer who’s been coming to your restaurant since it opened, or maybe it’s the employee who spends every weekend volunteering. Branding impacts both marketing and PR, and it includes much more than just your logo. Your topics, tone and register all affect the way people perceive your business online. And ultimately public relations is about giving your audience a favorable impression of your business, no matter how they encounter it. Mistakes happen. You and your business won’t always be perfect and satisfy every customer. Increasingly, dissatisfied customers and clients take to social media to air their grievances, so you must have a plan in place for handling complaints. Decide who will respond and how. It may even be helpful to craft a few “go-to” responses, so that you don’t scramble to post something that actually makes the situation worse! Focus on connections and relationships. In the past, PR focused on one-way communications: sending out press releases, providing sound bites, getting media coverage. But consumers–and reporters–today expect something more. They’re truly looking to build relationships with your business….which requires two-way communication. Be willing to explore where that communication could lead, and find new ways to invite or enhance the conversations. Our guest blogger is Jen Straw -the CEO and founder of Last Straw Media, LLC. Jen is a social media expert featured on FOX and NBC. She has 17 years of media writing experience in television, print, public relations and social media. She is also an adjunct professor at the University of Tampa, teaching writing for PR, media writing, writing for broadcast news and studio television.